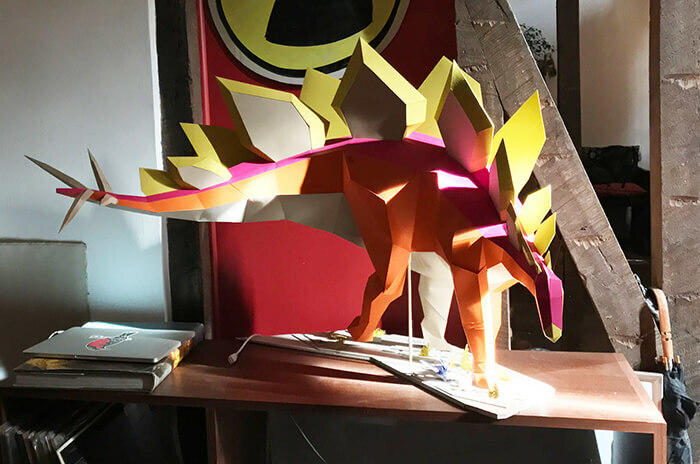 3D paper toy/model isn’t something new and we have been featuring many clear designed paper toy. 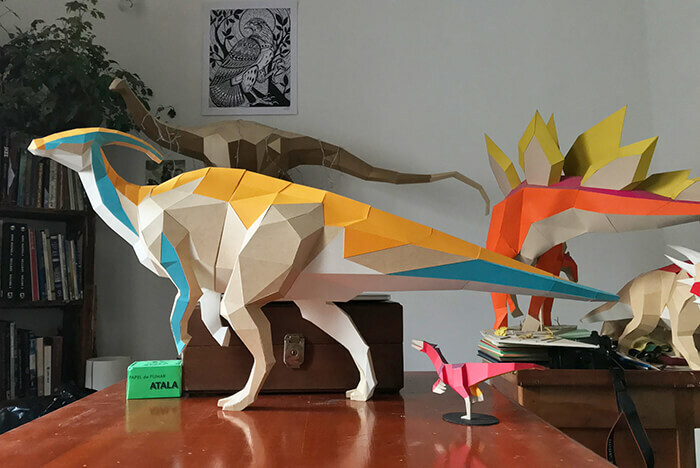 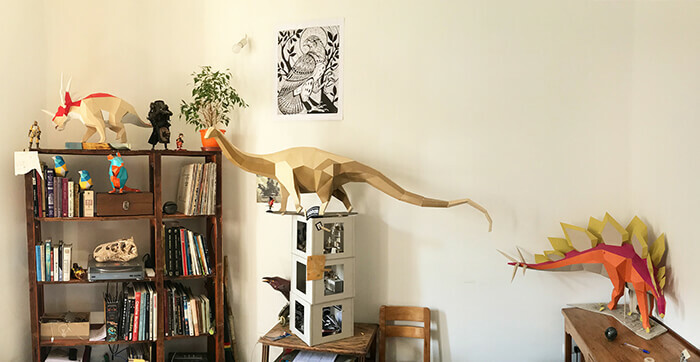 Today we will present you with Chile-based artist Seba Naranjo‘s ongoing project – Khartosauria which depicts anatomically correct dinosaurs (and other extinct animals) for you to build and have fun. 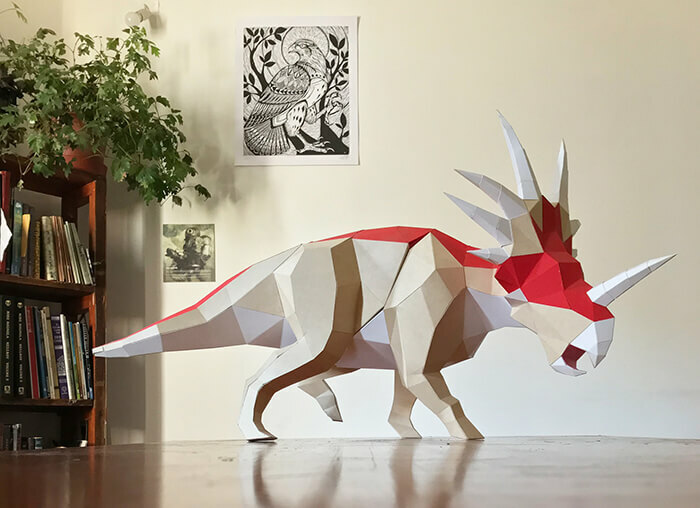 As a dinosaur lover, graphic designer and children’s illustrator Naranjo combines his interest and professional skills, spends upwards of 20 hours a week cutting and constructing figures such as a red and beige Styracosaurus, multi-colored mini Dromaeosaur, and an elegant Apatosaurus. 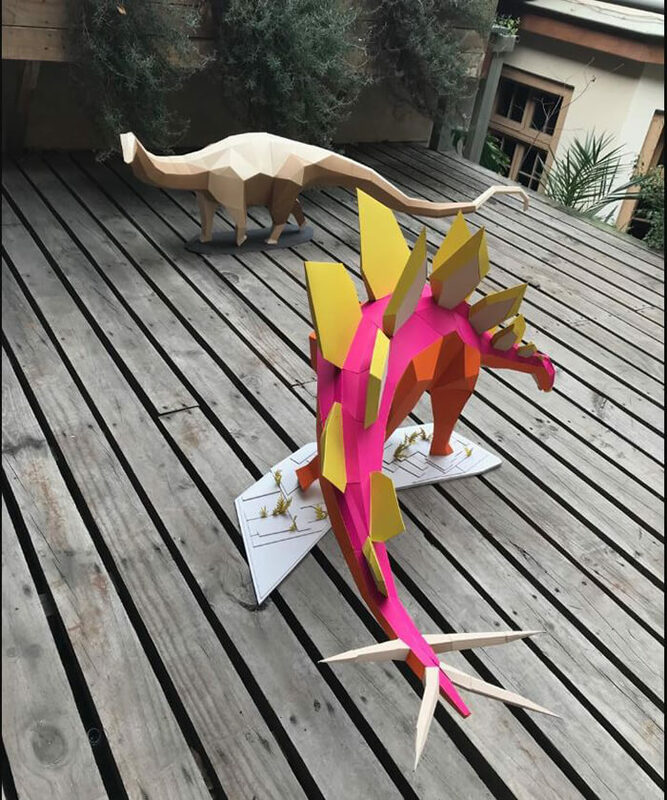 2 PDF files in English and Spanish , with all the pieces and instructions to make your own dinosaur. 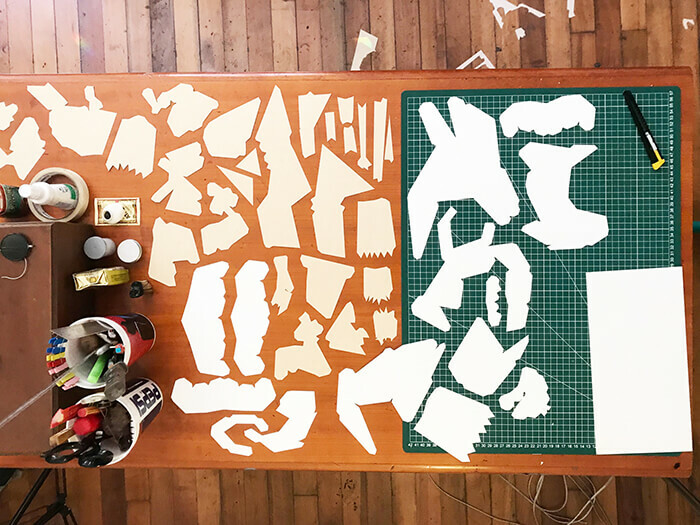 PDO file for those who prefer the pepakura interface. 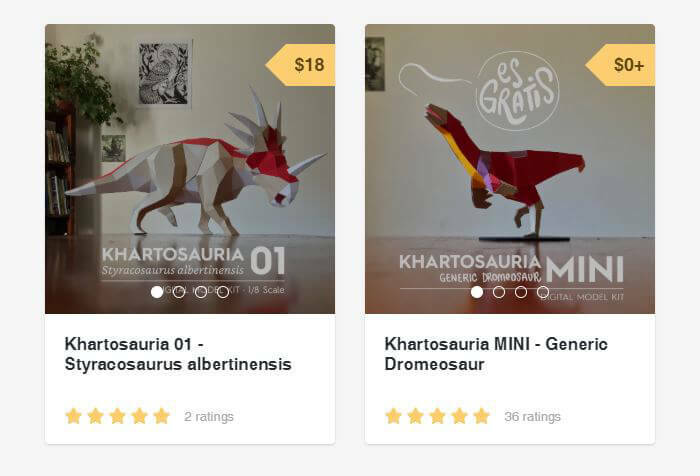 If you are bit worried about your crafting skill and don’t want to spend too much, you can start with Naranjo’s Generic Dromeosaur. 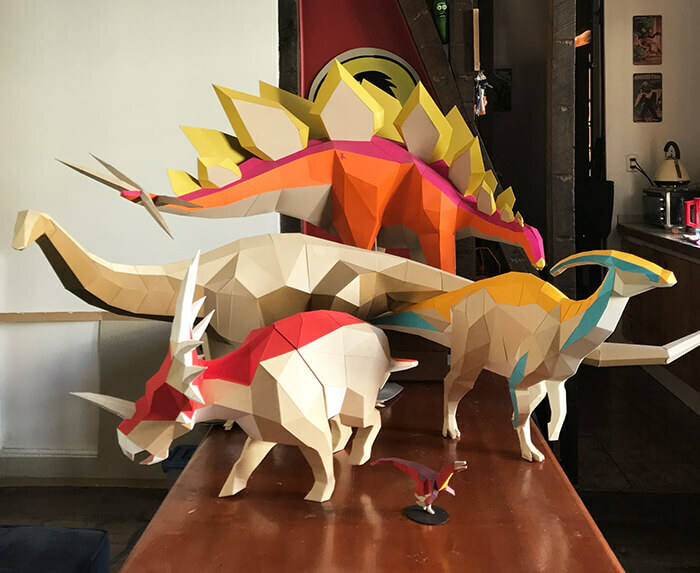 The designer doesn’t give a fixed price for the kit so sets a fair price you think work for you, download the pdf and give it a try. 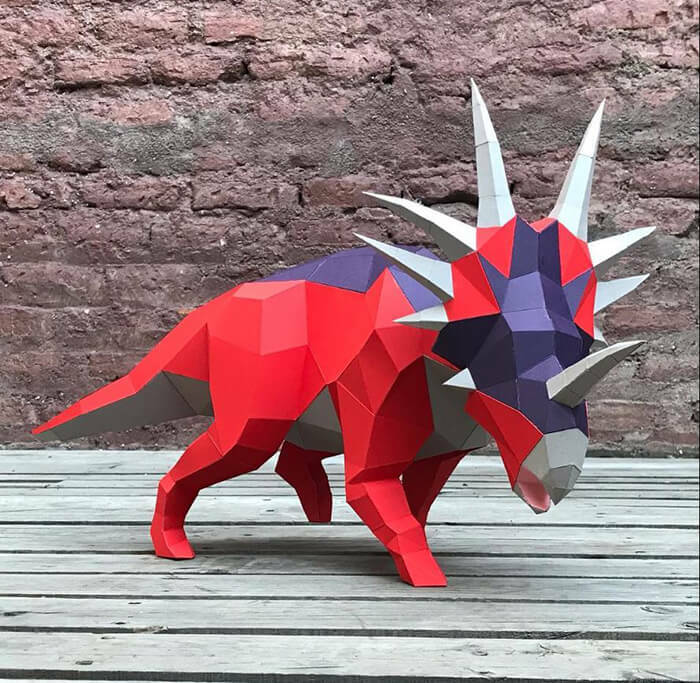 Hope you can have your first 3D paper dinosaur soon.